Mercenaries became part of EverQuest with the Seeds of Destruction expansion, which came out back in late 2008. So as a feature they have been around for a bit over a decade, or more than half of the life of the game. 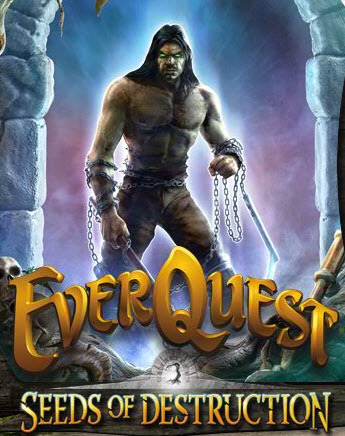 However, at that time and going forward my relationship with EverQuest was largely nostalgia driven, with my largest concerted effort being around the Fippy Darkpaw era, back when SOE still seemed tentative on the whole retro server idea. (As we saw last week, Daybreak is now all-in on that.) That was a little over eight years ago. I did tinker with mercenaries a bit. When EverQuest went free to play… for live servers at least… an event that is now seven years in the past… a few of us rolled up characters on the brand new Vox server. There I ran the tutorial with quite a crowd of people. There is even a screen shot of me in that post with a mercenary. Healer with a big stick! And while mercenaries have changed and been upgraded over the years… they got their own gear then their own AA points… I never fully appreciated how strong they can be. That is because I have been foolishly using them in a support role. My characters on the Vox server tend to be tanking class, so naturally their mercs have been healers. That seemed the obvious route to me. I did the same think in EverQuest II when I was last there, traveling around with a healing merc in tow. Now I am beginning to see the folly of my ways. My thinking was that I might not be able to trust the game to tank for me, but healing seemed like a simple programming task. For this last run at EverQuest I rolled up a cleric. Not a tank this time, but a plate wearing, shield bearing, healer than could take a hit. I figured I might need that weight since I decided part way into the tutorial to hire a merc to tank for me. I was a cleric after all, I figured I could keep him alive, at least long enough to be able to run away. Running away has never really been an issue. At first I was careful where I went with my merc and, as such, his durability seemed unsurprising. I never had to heal him. Then, when running the Plane of Knowledge armor quest in Nek Forest, I got in range of the hostile guards on the bridge. They are linked, so pulling one gets you all four. I figured that would end badly, a reaction that spiked when I saw the sergeant of the guard con’d red to me. The /con mechanic now nicely gives you the level of the mob, and the sergeant was level 25, while I was only level 17. I figured I would try to keep the merc alive, but was pretty much resigned to running for the book back to the PoK. But my merc didn’t have any problem with the encounter. I didn’t even need to heal him. A bit later, when I found the greater wisps I was there to slay and they began to pile on… wisps are social and assist their fellow wisps when attacked… I was able to walk a ways away and sit down to meditate when I was out of mana. My merc was handling a dozen at level mobs, no problem. But the clincher was the armor quest that sends you off to Permafrost. I was about level 22 at that point and stumbled into a level 40 frost giant. Again, the merc was handling it. And the second one as an add. I think the fight would have ended well had I not stepped into range and had one of the giants turn and one-shot me. Oh well. My tanking merc isn’t perfect. Just last night, at level 28, I took the level 30 daily hot zone quest which sent us off to the Crypt of Dalnir on Kunark. That was going pretty well. The mobs were at level or a few levels above, with one level 35 mob along the way. Things only went south when my merc went off to chase a runner who resisted my root spell and ended up with a half a dozen more adds. They managed to kill me before he could taunt them all off of me. Still, I was being a bit reckless in the crypt and ending up with trains like that isn’t exactly a new thing in EverQuest. I suspect, however, that my success with my merc tank might be related to being in older content not correctly scaled to match him. I suspect as I get higher level… depending on how far I take this trip in Norrath… things might not go as easy. But now I am a bit bummed I didn’t roll up a druid or a bard. Having to run across zones in Norrath makes me miss Spirit of the Wolf or Selo’s. 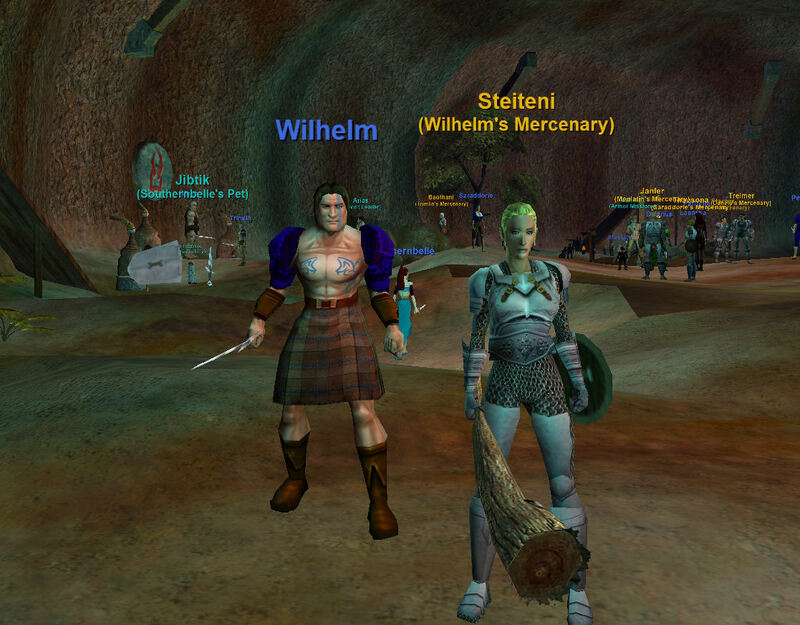 This entry was posted in entertainment, EverQuest and tagged Mercenaries on March 20, 2019 by Wilhelm Arcturus.